On occasion, General Practitioners will encounter a patient with a concern relating to possible exposure to a hazardous substance. These presentations can be very challenging – the symptoms may be non-specific, there may be no objective evidence of exposure, and the number of potential hazardous substances that the patient has been exposed to may be large. In this situation, laboratory investigation requires careful consideration. Testing is usually only useful if there is evidence of systemic toxicity, and a specific treatment option is available. If a patient presents with a possible exposure to a hazardous substance, what do you do? What laboratory investigations are appropriate? Do exposures to hazardous substances need to be reported? Ask the patient if they have a suspicion as to the identity of the hazardous substance, the time and date of suspected exposure and any relevant occupational details if the exposure occurred during work. Take a history and examine the patient. Assess blood pressure, pulse rate, respiratory rate, temperature, neurological status and presence of gastrointestinal disturbance, such as diarrhoea or vomiting. Examples of conditions that may be caused by metal toxicity include bilateral pain radiating from the feet to the leg with arsenic exposure, renal disease in spray painters with cadmium exposure and early onset of Parkinsonism (age < 50 years) with manganese exposure. If the patient has signs of acute toxicity or their history suggests significant and recent exposure, it is recommended to seek advice on management. 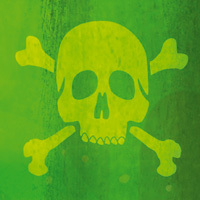 Options to consider include the National Poisons Centre (0800 POISON), the TOXINZ database (www.toxinz.com – requires a subscription), a Chemical Pathologist or the local district health board’s Toxicologist. Advice from these experts should include treatment options (if any) and collection of samples such as urine or blood to be stored for possible analysis. Testing for possible chemical exposure requires careful consideration. In general, testing is only useful if there is evidence of systemic toxicity, and a specific treatment option is available. In some situations baseline levels may be helpful and serial tests may also be required. Expert advice is strongly recommended prior to undertaking any testing. It is also recommended to contact the local laboratory to discuss collection of appropriate samples. There is no single analytical technique that can identify all hazardous substances. Targeted testing (if available) can be used when attempting to identify a specific chemical, e.g. investigating lead toxicity (see: “Lead exposure”). Interpretation of blood and urine tests for chemicals can be complex. Laboratories use inductively coupled plasma mass spectrometry (ICP-MS) to determine levels of elements in blood or urine, but the analytic process involves “standardising” all ionic states to a single catatonic charge, which can mask toxicity.1 For some metals, toxicity varies depending on the ionic state. For example, Hg (elemental mercury) is non-toxic, Hg2+ (mercury ions) is toxic and CH3Hg (methyl mercury) is very toxic. Similarly, Cr6+ (chromium) is toxic but when it enters cells it is converted to Cr3+ which is non-toxic. Biological monitoring using ICP-MS cannot distinguish between toxic or non-toxic forms of chromium, so measuring the source of the possible exposure is more reliable. Investigating lead level in a patient with exposure to lead, (e.g. 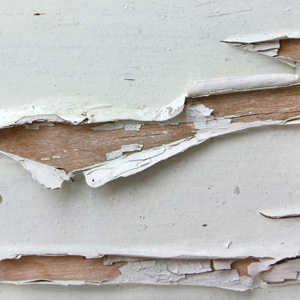 lead-based paint) is an example of an appropriate targeted test. Guidelines for managing exposure to lead are available from the Ministry of Health. The Medical Officer of Health should be notified of patients with blood lead levels ≥ 0.48 micromol/L. Children with a blood lead level ≥ 0.96 micromol/L and adults with a blood lead level ≥ 3.4 micromol/L should be referred to an appropriate specialist.2 Patients with elevated lead levels should reduce (or eliminate if possible) exposure to lead and then be re-tested after six weeks and six months. What about other types of “toxicity testing”? Performing wide-ranging screening tests (e.g. hair analysis) for any form of hazardous substance is seldom appropriate. The implications of a positive result need to be considered before a test is requested. All people are exposed to hazardous substances in the environment, and may have detectable levels without being “poisoned”. In a normal reference interval, 5% of healthy patients will have results falling outside this range. An “abnormal” result may occur purely by chance, but may cause unnecessary concern. In addition, using population-based reference intervals established overseas may not be appropriate for people in New Zealand. Tests requested (usually by the patient themselves) from overseas laboratories are particularly difficult to interpret and may result in over-diagnosis and unjustified concern, as well as incurring significant cost to the patient. Reference intervals are often calculated by using data obtained from testing the samples received. Ideally, reference intervals should be established using samples from healthy individuals. Since reference intervals are not well defined, more (or less) than the arbitrary 5% of healthy, non-exposed patients will have results that fall outside reference intervals. Hair is exposed to the environment, and in general it is not possible to remove only external contaminants from hair. For example, arsenic deposits on the outside of the hair shaft with exposure to the environment (e.g. washing hair with arsenic-containing water). Arsenic is also deposited on the outside of the hair shaft when arsenic-containing water is ingested. Hazardous substances disease and injury (Hazardous Substances and New Organisms Act 1996). A hazardous substance is officially defined as anything that can explode, catch fire, oxidise, corrode, or be toxic to humans. Electronic notifications of hazardous substance exposures (including lead exposures) may now be made through the bestpractice Decision Support module, introduced nationwide in 2013. These notifications are assessed by the Medical Officer of Health and Public health unit staff to determine if further follow-up with the patient is required. Where the diagnosis of poisoning is unclear, discussion with the Medical Officer of Health may assist in deciding if notification is appropriate, what action might be taken, and what if any public health investigation is required. Thank you to Dr Stephen du Toit, Chemical Pathologist, Hamilton for contributing this article. Burtis C, Ashwood E, Bruns D. Tietz Textbook of Clinical Chemistry and Molecular Diagnostics. 4th ed: Saunders; 2005. Ministry of Health. The Environmental Case Management of Lead Exposed Persons. Wellington: Ministry of Health; 2012. Seidel S, Kreutzer R, Smith D, McNeel S, Gilliss D. Assessment of commercial laboratories performing hair mineral analysis. JAMA 2001;285:67-72. Namkoong S, Hong SP, Kim MH, Park BC. Reliability on intra-laboratory and inter-laboratory data of hair mineral analysis comparing with blood analysis. Ann Dermatol 2013;25:67-72.